False-positive spinal MR findings for subarachnoid spread of primary CNS tumor in postoperative pediatric patients. Department of Radiology, Duke University Medical Center, Durham, NC 27710. 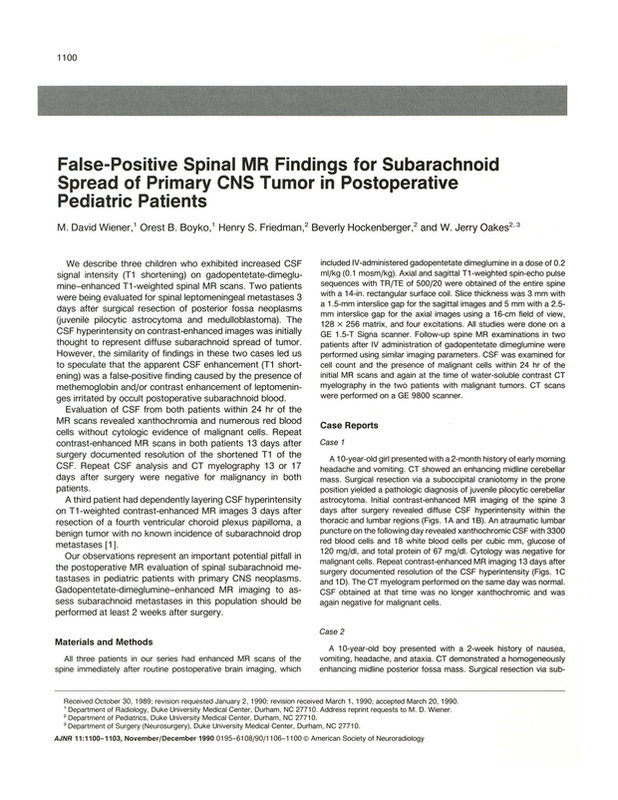 You are going to email the following False-positive spinal MR findings for subarachnoid spread of primary CNS tumor in postoperative pediatric patients.